We have joined a new co-op this year called Circle of Friends. Today was our first meeting day and I was just so impressed with the organization and creativity of everyone there. I had a great time and so did the kids. 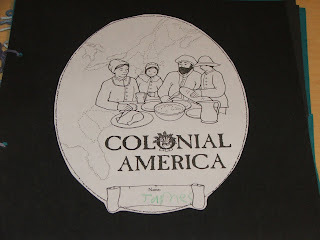 The theme class for the year is Colonial America which fits in so perfectly with what we are studying at home. The kids started a pocket book that they are going to add to throughout the year. 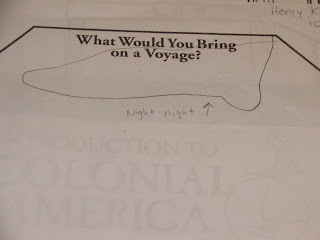 One of the activities was to write or draw what you would have brought with you to the New World. Here is James'. 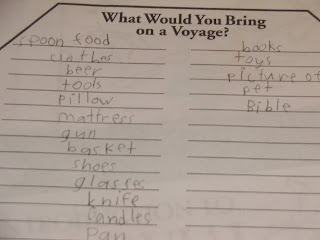 The left column is what he would have had to bring, the right column is what he would have wanted to bring. Here is Henry's. Of course he would have brought his night-night. That's pretty much a no-brainer. 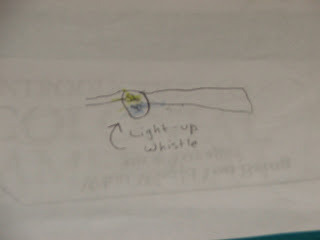 And Henry would have brought his light-up whistle. Henry plans to revolutionize the New World with small colorful electronics. 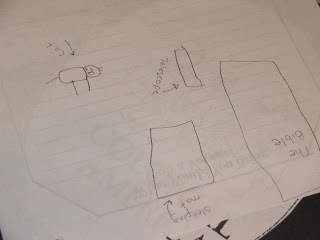 Isaac was very thoughtful in his planning. He wanted to bring books, and he remembered that the only book the Pilgrims had was the Bible. He didn't like the idea of sleeping on the floor, so he had his sleeping mat with him. He told me he was a rich Pilgrim and so of course he would have brought his telescope. And he wanted to bring his cat. Which is pretty funny since we don't even have a cat. In one of the sections the kids made butter by shaking cream and then ate the butter on Johnny Cakes. Besides the Colonial America class, the children participate in two other classes at the co-op. Henry is at an in-between age, so he bounces between the 2-3 year olds and the 4-5 year old class. Isaac is in the 4-5 which is a kindergarten class. Today the theme was apples. 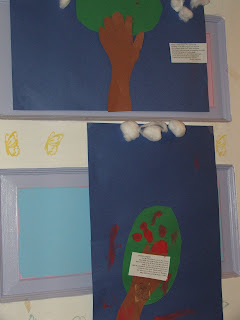 Here is some art they did about apples. Isaac's is on the top, and Henry's is on the bottom. While Isaac and Henry were learning about apples, James was taking a Spanish class and a communications class. The Spanish teacher is a native speaker and she told me that James has as good if not better pronunciation than her own son. I guess that Spanish program we are using at home really works. Fabuloso! Looks like a great co-op! !